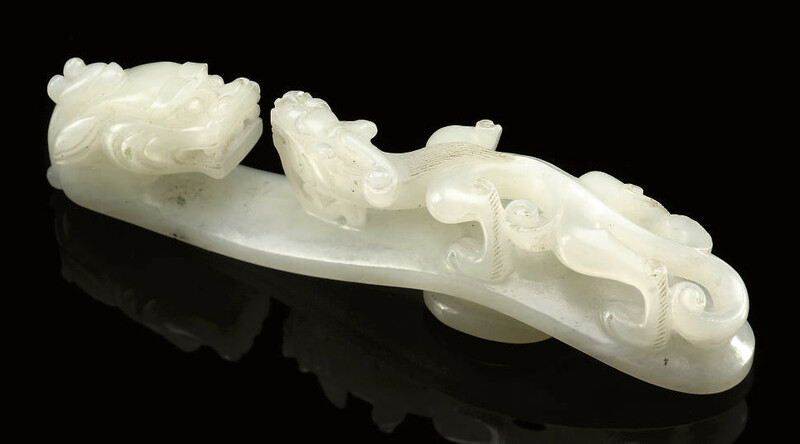 carved and pierced with a coiled guei dragon crawling towards the dragon head terminal, with naturalistic features -- 5in. (12.7cm.) long.